This brief trip took us only a few miles from Houston "as the crow flies", but a world away for pace of life. 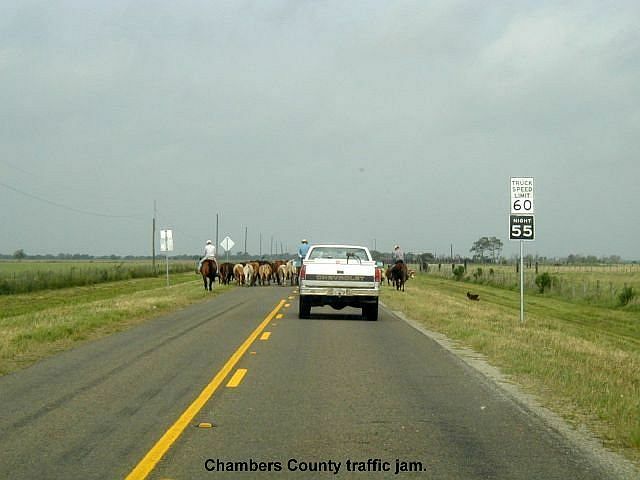 It's hard to believe that you can be within 50 miles the 4th largest city in the country, and yet have to yield to a heard of cattle being leisurely driven down the middle of the highway by a group of cowboys and dogs. Chambers County is located directly east of Houston, across Trinity Bay and Galveston Bay. The bays isolate the county from the hustle and bustle of Harris County. They do this by restricting access from Houston to either the Bolivar Ferry or IH-10. The community of High Island, located in the extreme east end of Galveston County is located about a mile from the Gulf of Mexico. This portion of Galveston County extends all the way up the Bolivar Peninsular, separating Chambers County from the Gulf of Mexico, except for a 2200-yard wide sliver to the Gulf. High Island is not a real island - it got its name because it is perched atop a large salt dome, being about 30 feet above sea level and all the land around it. It is reported to be one of the best bird watching sites in North America during the spring and fall migrations across the Gulf of Mexico to South and Central America. We were a little late in the spring season, but it was our first trip there, so we came to check it out for future exploration. High Island is a world of large and dense trees that you don't expect to see that close to the coast. 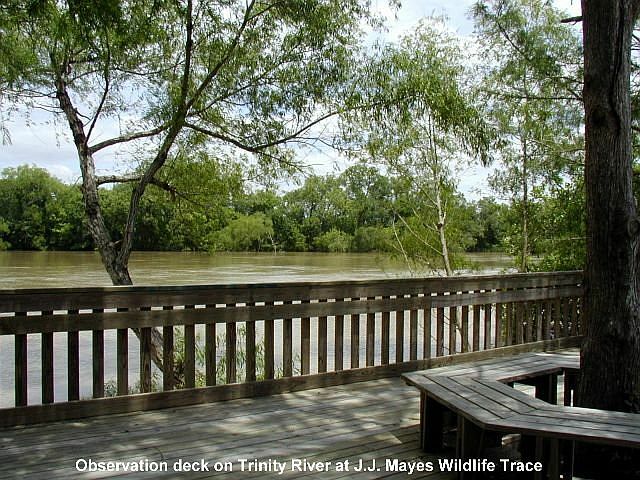 Chambers County contains several other bird sanctuaries worthy of note also. We hope you enjoy our trip too. We left Richmond Tuesday morning via TX-6 to Galveston. 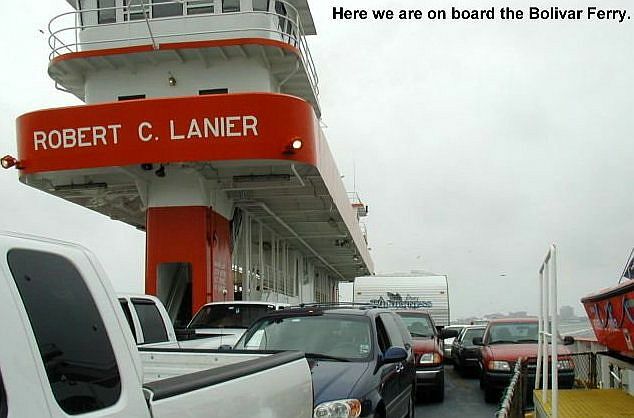 At Galveston, we took the Bolivar Ferry across Galveston Bay to the Bolivar Peninsula. 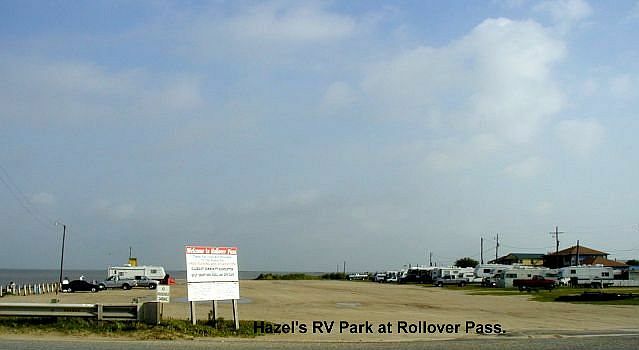 Since there are no RV parks at High Island, we stayed at Hazel's RV Park in Gilchrist. The park is on the inland (Rollover Bay) side of the peninsula at Rollover Pass and caters mostly to fishermen. Rollover Pass is a channel cut connecting Rollover Bay to the Gulf of Mexico. It is only a short walk from one side of the peninsula to the other. The park is nothing special, but it is the closest one to High Island. Wednesday morning we took TX-87 the 8-mile drive to High Island. 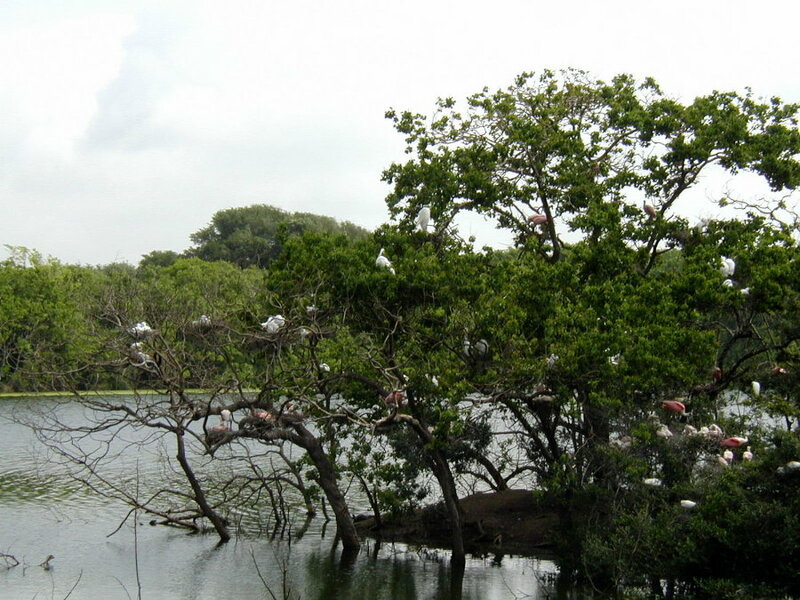 The Houston Audubon Society maintains four bird sanctuaries at High Island. We spent the day, including a picnic lunch, walking and sitting in the shade of the large trees, enjoying the new birds we observed. We saw many new colorful warblers that we never see around our Richmond bird feeders. Smith Oaks is the largest and most interesting of the four sanctuaries. The trails and facilities are well maintained and the rookery on Heron Island was a real treat. 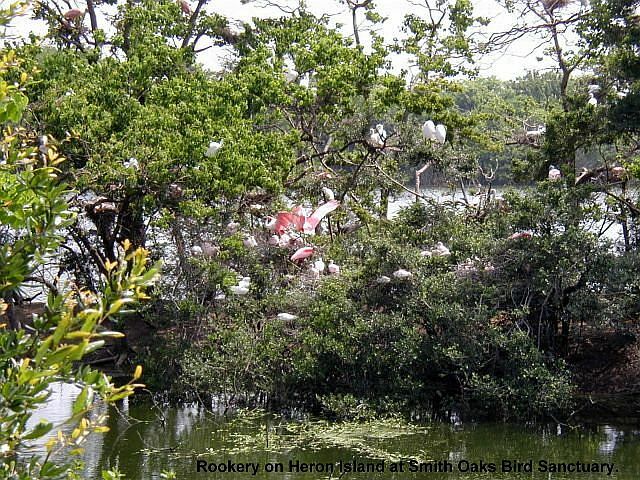 We got an excellent view of the large brightly colored Roseate Spoonbills, as well as many other nesting waterbirds. 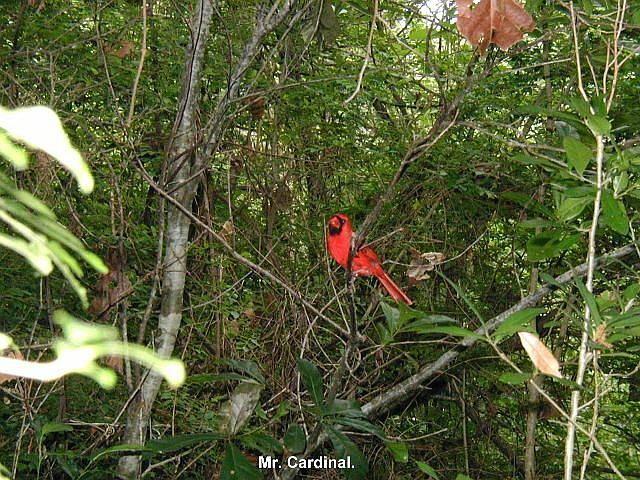 At Boy Scoot Woods, a male Cardinal came within a few feet and begged to be photographed! He posed and I clicked. We plan to go back in the spring around the time of a weather frontal passage, to see large groups of tired birds at their first stop after flying across the Gulf of Mexico. It's supposed to be excellent. Thursday we headed north via TX-124 to FM-1985, then west to FM-562, and south into Smith Point. Along the way, you cross over the Intracostal Canal. On the way there, we encountered an enormous traffic jam, like nothing we have ever seen in Houston! 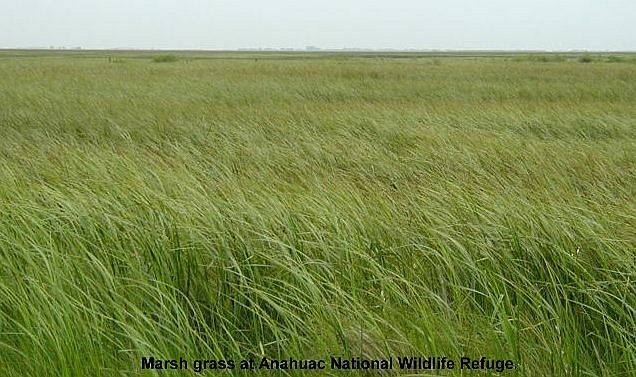 (See below) Along the way, we visited the Anahuac National Wildlife Refuge. This is a large area of coastal marsh and prairie bordering Galveston Bay. The peak bird watching occurs from October to March. Again, we were too late in the season, but we will try to explore it again this winter. 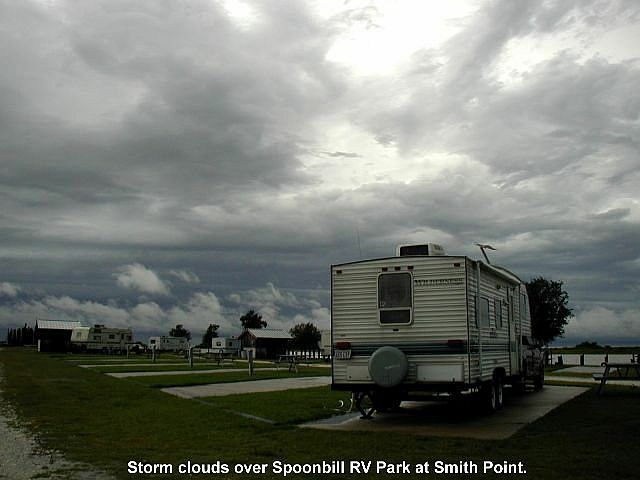 We arrived at Spoonbill RV Park at Smith Point just before a storm roared through. It rained all afternoon but fortunately a cold front was pushing it through, so the next few days were great! This is a very nice RV park with excellent facilities and a friendly staff. If you look at a map you can see that Smith Point is just about as isolated as you can get and still be almost within site of Houston. Friday we left Smith Point via FM-562 to Anahuac. We stayed at Trinity Bay RV Park. This is a small old park with minimum facilities. 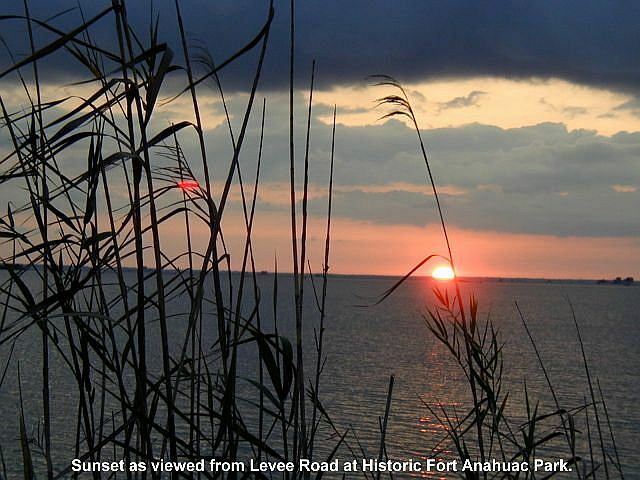 It is conveniently within walking distance to Historic Fort Anahuac Park. There is nothing left of the fort, but there are some historic markers that tell the interesting story of the fort. Anahuac was a port of entry to Texas in the early 1800's and events at the fort helped spur the colonists to go to war with Mexico. Today it is a sleepy country town off the beaten track. 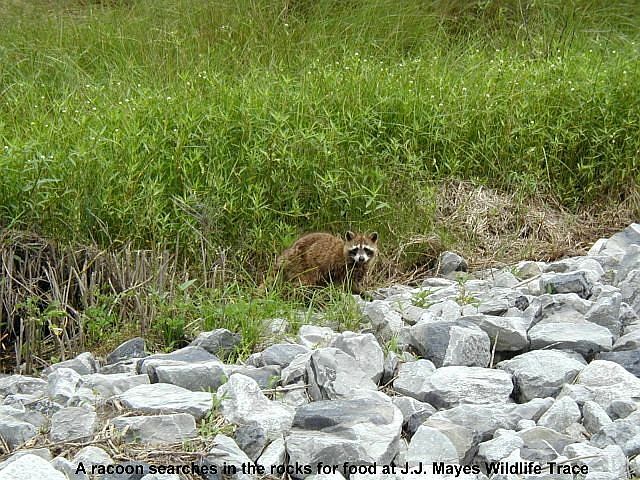 Saturday we left Anahuac going north on FM-61 to IH-10, then west to the Wallisville exit and J.J. Mayes Wildlife Trace. 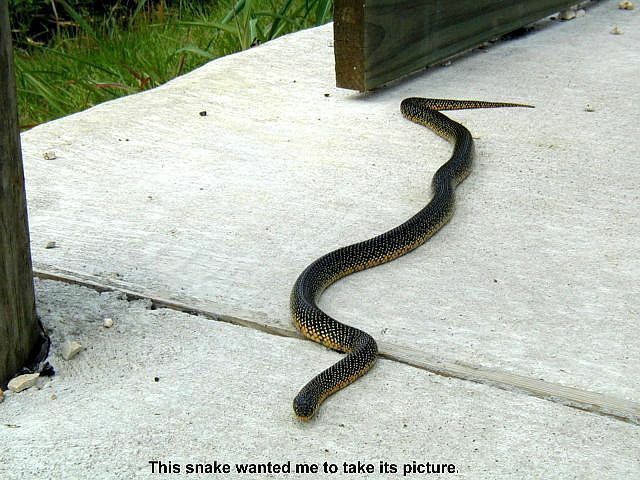 At this U.S. Army Corps of Engineers area as they say, "both the casual and experienced nature observer can get as close to nature as he or she may desire." It didn't take long for us to confirm their statement. 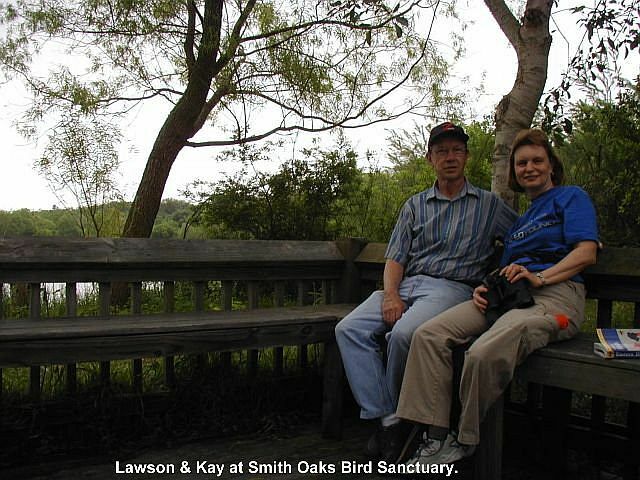 After visiting the Wallisville Lake Visitor Center, we went to their bird observation area adjacent to IH-10. You need a good set of binoculars, but there are many nesting waterfowl on the island across the lake. We ate lunch and explored a little more, then took IH-10 west into Houston and back home to Richmond. This draws to a close our High Island & Chambers County Birding RV trip. We hope you enjoyed the pictures and brief descriptions of our activities. God willing, join us again for another RV adventure soon.